Maryanne Amacher born 75 years ago, in 25th February 1938. Because in this show I present the following musics. 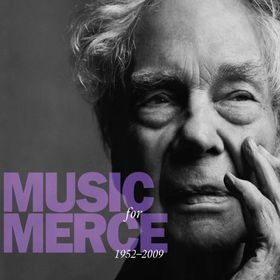 The late Merce Cunningham was renowned for his legendary collaborations with the most significant experimental musicians of the late 20th century. Particularly notable is his association with John Cage, who served as the founding musical director of the Merce Cunningham Dance Company until Cage’s death in 1992. Spanning six decades from the early 1950s onward, these recordings capture the breadth of the Cunningham repertory and the rich diversity of Cunningham’s musical collaborations. Composers whose work features prominently in this collection include seminal figures of late-20th-century experimental music such as John Cage, David Tudor, Gordon Mumma, Christian Wolff, and Takehisa Kosugi, among others (for example Maryanne Amacher). For the most part, these compositions have not been recorded elsewhere and are making their first appearance on CD. Maryanne Amacher was a composer who was not concerned with conventional musical form, instrumentation, and the size of forces or her place in the grander Western musical hierarchy. Although she was known to use the bows made for producing sounds on stringed instruments, Amacher generally did not use them to produce sounds from an instrument so much as ordinary household instruments, rocks, buildings, almost anything else. Whatever method through which she made her sounds, and conversely, whatever sounds she happened to produce, Amacher took it back to the lab and treated it, digitally or otherwise, often magnifying sound many, many times. Amacher’s compositions were not designed to fill a concert hall, but whole structures such as buildings or houses, or sculpture; often her pieces were louder than anything conventionally musical that one can imagine, louder seemingly than an arena rock concert. 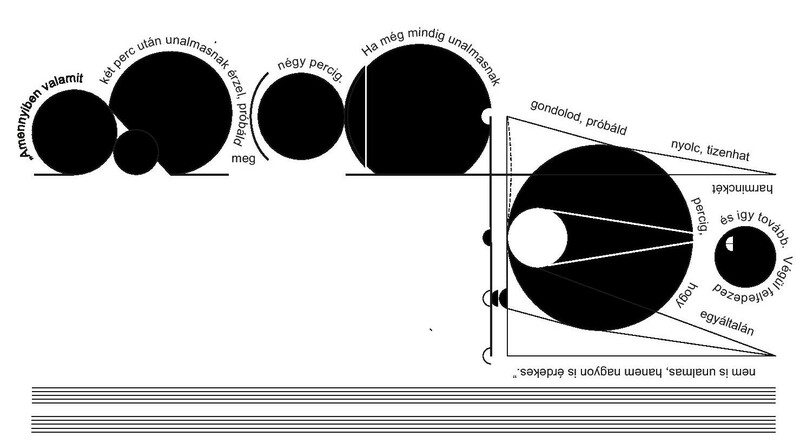 Given the extremes of Amacher’s music, one can imagine that a mere recording was at best a poor substitute for experiencing one of Amacher’s installations in person; sort of like trying to contain a hurricane in a can, and for a long time Amacher herself dismissed any proposal toward releasing her music in recorded form. 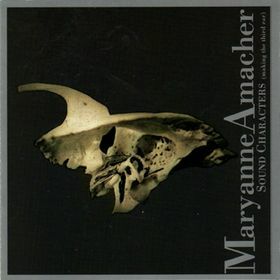 However, since 1999 John Zorn’s Tzadik label, and a few others since, has been willing to try, and Tzadik’s Maryanne Amacher: Sound Characters 2 consists of a single work in four parts, Teo! (2004). This was created for an installation at the Palace de las Bellas Artes in Mexico City, though the sounds were collected down in the bowels of the Pyramid of the Sun in Teotihuacan, in four caves on which it is now believed the pyramid was deliberately built. It is what it is, and you’re more likely to have a good time if you invite the adventure and its discomforts. For those who would dare take this trip with Amacher — now that’s she’s gone and can no longer install her music into the spaces that best suit it — invaluable recordings such as Tzadik’s Maryanne Amacher: Sound Characters 2 serves as the only medium through which they can join her. 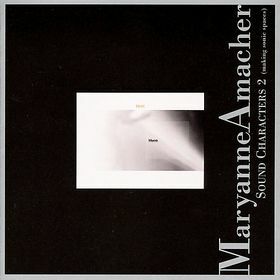 The “Making the Third Ear” part of the title refers to the phenomenon that listeners experience when listening to Maryanne Amacher’s compositions — played at the right volume, sounds seem to emit from within the listener’s head! Even though these works were written for installations in specific spaces, and not for recording, the “third ear” still happens (but not with headphones). The included pieces range from a rather comforting wash of tones (“Synaptic Island”) to boggling, bleeping loops (“Dense Boogie 1”), and are, necessarily, often excerpts of longer works. This entry was posted in no wave show on 2013-05-29 by en.